To speak of journalism ethics today is to speak in the future and normative tense. 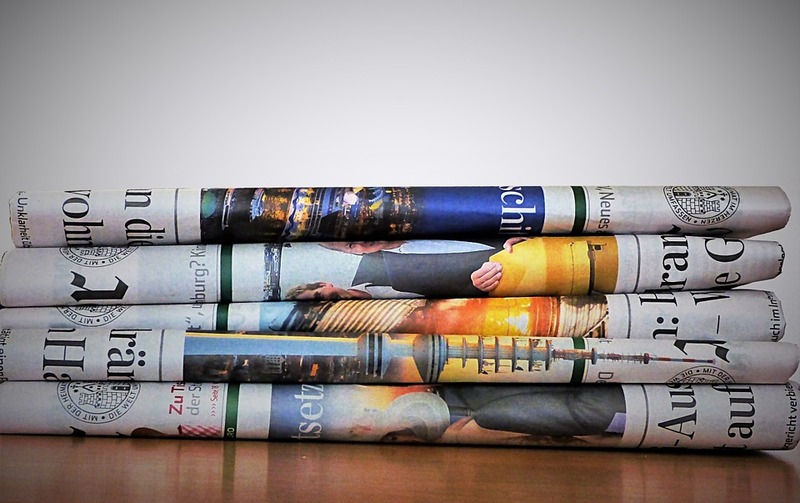 What should journalism ethics look like, in the not too distant future, if it is to be an adequate guide for journalism amid a media revolution? What norms should guide professional and citizen media practitioners of a digital and global media? The core of our teaching, researching, and public conversation needs to be centered on these complex and seminal questions: questions that beget other questions. If we are attuned properly to this media revolution, to its deep implications for humanity and communication, our ethics discourse and our ethics work will, perforce, have a sharp edge. We will come to the point where we recognize the need to disrupt journalism ethics as traditionally conceived. Disrupt habitual, entrenched, and limited ways of thinking about journalism ethics that we inherited from a specific culture of journalism, ages ago. These ways of thinking about the role of journalists and their principles were constructed for another media in another media era. The fashioners of this traditional ethic, beginning in the early 1900s, provided normative guidance for a restricted, emerging class of professional journalists working mainly for newspapers in a non-global world. They could not envisage the issues that would face today’s responsible practice. They did not write norms for a hybrid journalism of professionals and citizens, and their ever-evolving forms of journalism. Not surprisingly, as the media revolution spread, a once-firm consensus around traditional, profession-based journalism ethics weakened and has all but collapsed. Hardly a principle, from objectivity to independence, has not been challenged, critiqued or ignored. Yet a widely accepted ethic for the new digital and global journalism does not exist, to fill the normative vacuum left by a receding traditional ethic. Caught in this media storm, we need to welcome reform, be creative and re-orientate journalism ethics toward the future. Tinkering with ideas, or trying to protect them from the winds of change, will not do. Journalistic ethicists cannot put Humpty Dumpty back together again. Rather, we need to be radical. To do radical media ethics. Not radical in the political sense, but radical in the philosophical sense — a reformulation of fundamentals principles and aims. Being radical has two conjoined parts, like the opposite sides of a coin. One part is the critical task of determining what existing principles, practices and ways of thinking about journalism ethics remain valid. What principles should be kept but reformulated? The second part is the positive reconstruction of a new ethic that many practitioners can endorse and apply across platforms and borders. So simple to say. So devilishly hard to do. Yet take heart. New ideas and norms are emerging. A new framework for responsible journalism is being constructed. New organizations, journalism societies, centers for ethics and individuals at the front lines of today’s digital journalism are finding ways to practice new media in a responsible manner and to formulate their ideas into guidelines. This is how journalism ethics has changed over five media revolutions since the 17th century: a slow, messy, grassroots evolution of new norms for journalism driven by the practical need to adapt to new practices. Scholars and ethicists formulate these norms into theories and codes. This state of journalism ethics defines the central task of centers of journalism ethics such as at the University of Wisconsin-Madison. It also defines the normative task for journalists, journalism teachers, ethicists and citizens. It calls for the exercise of certain faculties and virtues. The journalism ethicist should be part visionary and part pragmatic inventor. With one eye on the horizon, she should trace the contours of a new and future ethics. With one eye on actual practice and changing conditions, she should propose new aims, reinterpreted principles and practical guidelines for emerging forms of journalism. This activity requires moral imagination to imagine new ways of doing journalism responsibly and to harness the powers of new media to promote a more just and flourishing world. As the Center for Journalism Ethics launches a new public interface, I challenge the center to “be the change” in its work, to be a leader in the construction of this new ethics. Through its seminars, teaching, writing and projects — incorporating students, instructors and citizens — the Center should show the moral imagination to propose new ideas, even if those ideas impinge on cherished traditional ways of thinking. Digital integration: We need a digital media ethics. By digital media, I mean the use of digital platforms and technology to do journalism. An integrative digital ethics has principles and aims affirmed by many types of digital practitioners. Global integration: We need a global media ethics. By global media, I mean a media that is global in reach, impact and culture. An integrative global media ethics provides global aims for journalism and develops norms for reporting stories with global impact. It seeks principles that journalists from different cultures can affirm. Guidelines for media use of new technology, such as virtual reality, drones, and, soon to come, the use of artificial intelligence to guide our electronic devices. The redefinition of journalism ethics as having global aims. Practical guides on how to cover global issues from refugees to climate change to terrorism. The development of clear ethical discussions and principles for perspectival journalism, including new trends in “engaged” journalism. An ethical focus on efforts to introduce innovation and entrepreneurial skills to journalism and the teaching of journalism. The development of a “media ethics for everyone”: materials for teaching high school students, non-journalism undergraduates and citizens on how to use their own media. Working with news outlets and journalism societies to develop norms and protocols for their current and most urgent ethical problems and issues. Within journalism schools, teaching students in a “radical” manner. That is, challenging students to develop their own responses to the new issues of media, rather than have them simply adopt and apply traditional codes of ethics. No center can do all of these things. Choices will be necessary. Priorities set. However, I list these items to encourage all of us to “think forward” and never be satisfied with the status quo. We should stretch our comfort zone — just as we professors ask our students to do the same. The aim, some years ahead, is a rich, multi-leveled, inclusive ethics that weaves old and new into a framework for journalists, whether they practice journalism as a professional or citizen; whether they practice journalism locally or globally, online or offline. When we started the UW center in 2008, I saw the need for this fundamental reform in ethics on the horizon. We took steps forward, to meet that horizon. Today, the new world of digital, global media is not on the horizon. It is here and all around us. We are literally immersed in it. As my fellow Canadian Marshal McLuhan predicted some time ago: media would become not a set of external devices, but a radical “extension” of our senses. It would transform both ourselves and our world. I know the Center, led by its dynamic director and its supporters in the UW-Madison School of Journalism and Communication and beyond, will meet the challenge of reconstruction in a society where media, for good or bad, define reality. William James once said that, to a child, the world is a “booming and buzzing confusion” upon which some order must be imposed. I know the Center’s leaders, while not children, will also make sense of things in this noisy, chaotic media world. Stephen J. A. Ward is an internationally recognized media ethicist, author and educator. He is a distinguished lecturer in ethics at the University of British Columbia, Courtesy Professor at the University of Oregon, and the founding director of the Center for Journalism Ethics at the University of Wisconsin. 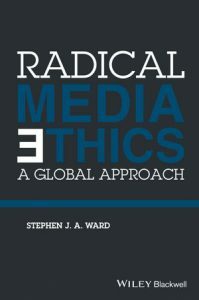 His book, Radical Media Ethics: A Global Approach, won the 2016 Tankard Book Award.